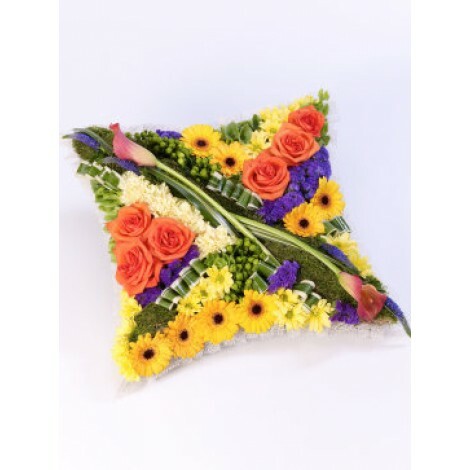 This stunning, vibrant and eye-catching cushion is a kaleidoscope of colour, made from flowers features a hand-picked selection of roses germini carnations and statice. 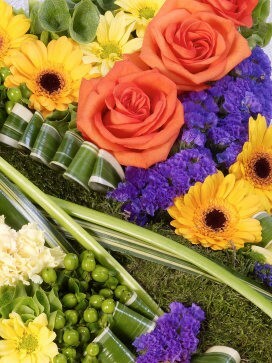 Alongside elegant and graceful calla lilies and veronica. 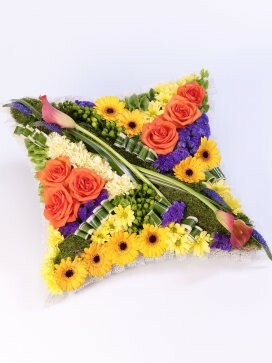 Expertly arranged and presented in a contemporary cushion shape.